Take a step into the future and have a quick look at the US Navy’s new railgun , courtesy of The Wall Street Journal. Using electromagnetic rails, the high-powered weapon fires an 11kg projectile at Mach 6, which can penetrate through seven steel plates leaving a 5-inch hole. Currently, the only class of Navy ship with the electrical energy required to fire a railgun is the US Navy’s new Zumwalt-class destroyer. For those wanting to learn more about the ship, USNI News recently published an in-depth feature on the challenges and opportunities of the Zumwalt . With a new generation of long-range missiles—like China’s DF-21  ‘Carrier Killer ’—potentially spelling the end of the US’s aircraft carriers’ time on the front line  and capability concerns regarding the readiness of the USN’s strike fighter squadrons , things are looking a bit tough for the US Navy. But it doesn’t stop there—the USN is undertaking a complex prioritisation of its operations and maintenance schedules due to a mid-year review of funding that discovered an US$848 million shortfall . In a fresh Natuna Islands incident, last Friday the Indonesian Navy arrested a Chinese fishing vessel, the Gui Bei Yu 27088, and its eight crew members for illegally fishing inside Indonesia’s exclusive economic zone . The Indonesian Navy fired shots at the trawler when it refused to stop illegally fishing, with the assertive action ‘made to show the world that Indonesia will take firm action against ships that violate our territory ,’ according to Western fleet command spokesman Maj Budi Amin. It’s the second significant engagement  in the South China Sea between Indonesia and China this year, with the events working to elevate tensions between the two countries . In F-35 news, the fifth-generation fighter will face another delay in initial operational testing  due to problems configuring the aircraft with the latest software. US Defence Acquisition Chief Frank Kendall said testing will now happen in 2018—a significant departure from the second half of 2017. Gizmodo looked at one of the coolest elements of the program last week—F-35 pilot’s US$400,000 helmet—and posted a video interview with USAF Major Will Andreotta discussing the helmet’s design and futuristic tech . The USAF might have trouble maintaining its minimum number of fighter jets in the future. Released in March, the Pentagon’s ‘Annual Aviation Inventory and Funding Plan’ stated that the Air Force doesn’t have the funding  needed to meet the minimum 1,900 jet requirement going forward. Meanwhile, a new piece over at The National Interest looks at the Russian MiG-21 fighter jet , or the ‘Fishbed’, as one example of a fighter jet that has withstood the test of time. In the latest take on the future of the A-10, this article  on War on the Rocks assesses the considerations needed in an A-10 replacement, or the A-X2. US Colonel Mike Pietrucha argues that the requirements are the same as they were 40 years ago—responsiveness, lethality, survivability and simplicity—with the addition of sustainability and affordability. The long-awaited offensive to retake the Daesh-held city of Fallujah  in Iraq began last week, with Iraqi forces moving into the city  on Monday morning. Located 50 km west of Baghdad, the city was the first to fall to Daesh in January 2014. 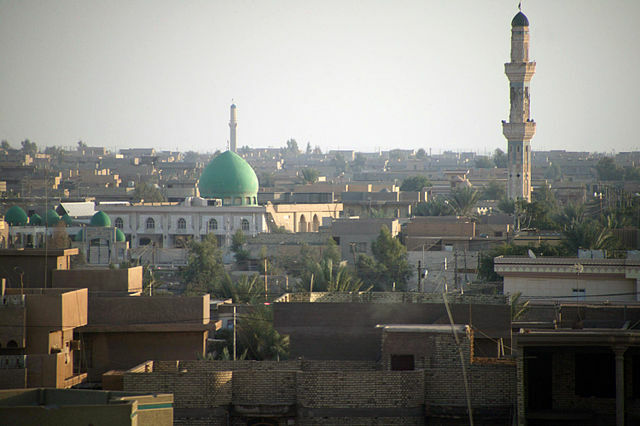 Taking notes from previous battles such as Tikrit, Bayji and Ramadi,  preliminary operations by Iraqi forces have worked to reduce Daesh’s control of the city’s rural outskirts. Augmented Reality , the layering of computer-generated data on a real-world display, may be working its way into modern warfare . At this month’s 2016 Special Operations Forces Industry Conference , the Harris and Applied Research Associates communication company showcased an Augmented Reality system that allows soldiers to view the battlefield with additional digital information and resources. Optimised for night use, the interface attaches to the soldier’s helmet and displays the user’s current grid coordinates; and uses blue circles to mark the location of personnel and objectives. Check out a video of some of the company’s Augmented Reality concepts here . The US Special Operations Command  and the US Army’s Apache Project Office will conduct a feasibility study  of a podded laser weapon on Apache Attack Helicopters this year, under an R&D agreement with defence contractor Raytheon. The lasers will be used as an alternative for destroying vehicles or generators—as opposed to using expensive missiles. A specific timeframe for the tests and the release of results is yet to be disclosed, but we wait with baited breath. Ashleigh Sharp and Lachlan Wilson are research interns at ASPI.